Alles, het perfecte appartement voor koppel. proper, rustig, heel vriendelijk onthaal. Todo se encontraba tal y como ponia en la web, el trato de la gente que lleva el negocio es muy bueno, buena predisposición. En general, todo muy bien. El apartamento es amplio y muy limpio. La amabilidad por parte de la persona encargada de gestionar la reserva, ha sido magnífica. Su ubicación es ideal y las zonas comunes muy bonitas. Hicimos noche porque estábamos de paso y nos quedamos con ganas de quedarnos más ya que la estancia es perfecta para pasar más días. La atención de los propietarios, fue estupenda y muy atentos con nuestras necesidades. La cama es muy cómoda. Estaremos encantados de volver! Sin ninguna pega, los propietarios muy amables y serviciales y el apartamento es tal y como se ve en las fotos. Un sitio muy tranquilo la urbanizacion esta muy bien y todo lo que necesites de supermercados o cualquier cosa esta cerca. Lock in a great price for Apartment Albir Playa Florida – rated 8.9 by recent guests! Located in Albir, Apartment Albir Playa Florida has accommodations with a private pool. Guests can go for a swim in the outdoor pool and enjoy the free WiFi. 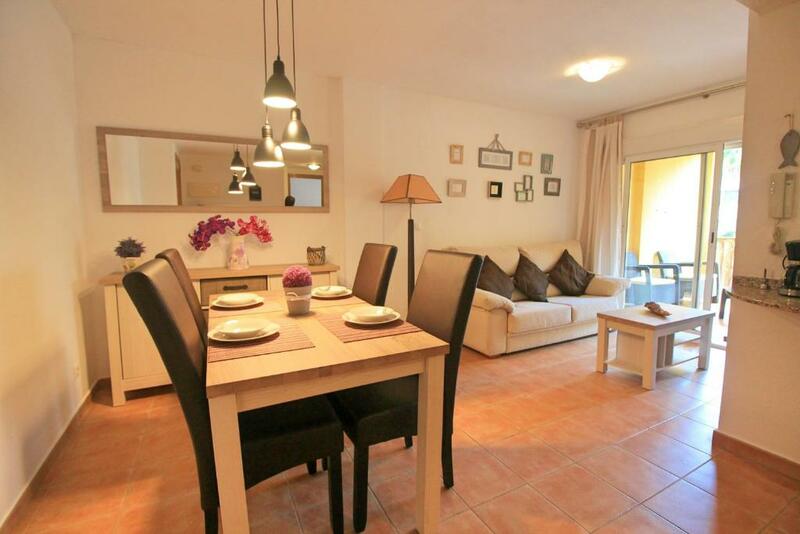 This apartment will provide guests with 1 bedroom, a flat-screen TV and air conditioning. 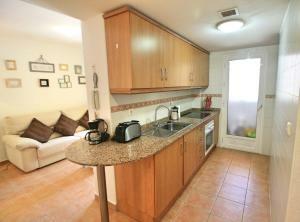 It also provides a seating area, a fully equipped kitchen with a dishwasher, and a bathroom with a bath. Benidorm is 5 miles from the apartment. 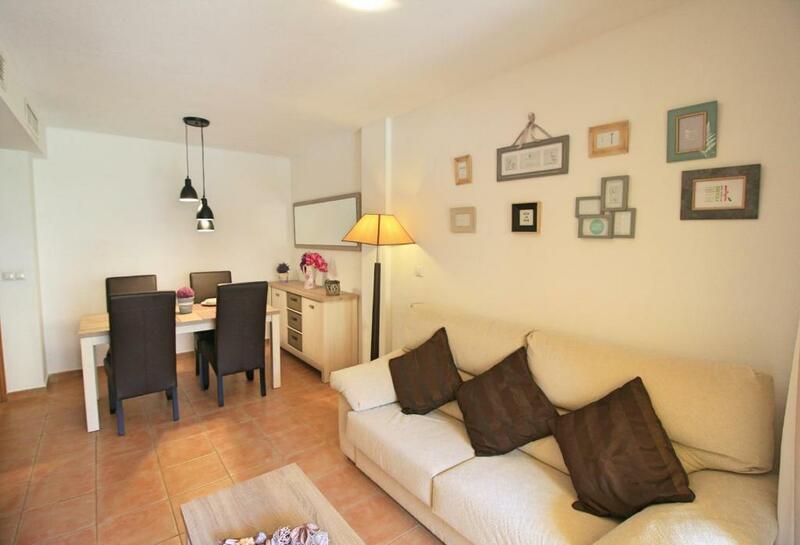 The nearest airport is Alicante Airport, 40 miles from Apartment Albir Playa Florida. 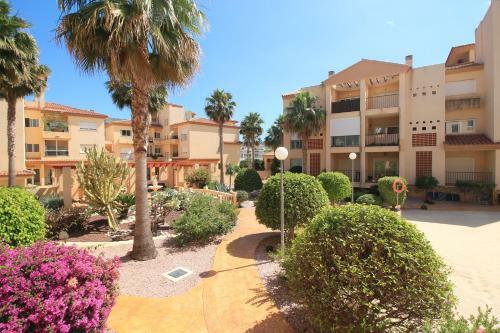 This property is also rated for the best value in Albir! Guests are getting more for their money when compared to other properties in this city. 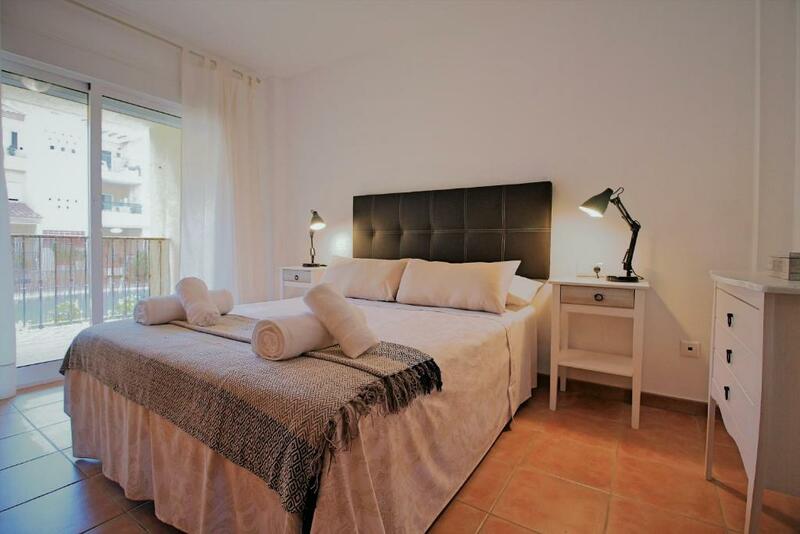 When would you like to stay at Apartment Albir Playa Florida? This apartment has a seating area, kitchen and toaster. House Rules Apartment Albir Playa Florida takes special requests – add in the next step! Booking.com takes your payment on behalf of the property for this reservation. During your stay, you can pay for any extras using Visa . Please inform Apartment Albir Playa Florida of your expected arrival time in advance. You can use the Special Requests box when booking, or contact the property directly using the contact details in your confirmation. Please note that check-in and key collection take place at: Avenida del albir 72, Restaurante Paulino, Albir 03581. A damage deposit of EUR 150 is required on arrival. That's about 167.16USD. This will be collected as a cash payment. You should be reimbursed on check-out. Your deposit will be refunded in full, in cash, subject to an inspection of the property. Nothing , and the fact that we could only stay for 2 days , we will be back . Everything about the apartment and the staff . The bed could be more comfortable. It was close to the beach and shops.